The Indian Navy already possesses “Calibr” missiles, but only the anti-ship variety. Among the issues to be discussed during the forthcoming visit of Russian President Vladimir Putin to India is the supply of “Kalibr” cruise missiles. Military analysts believe that with the advent of the latest “Kalibrs”, the Indian military will acquire new combat capabilities and be able to prepare to locally develop the cruise missile. The proposal has been prepared by India and will be officially handed over during President Putin’s visit, said the source of “Izvestia”. These will be the same rockets that were used in Syria, with a high precision guidance system, but with a reduced flight range in full compliance with the international regulations. Putin is scheduled to make two visits to India by the end of this year. The Russian President will visit Goa for the BRICS summit in October, and plans to visit Delhi for the bilateral annual “Russia-India” summit towards the end of the year. The Indian Navy already possesses “Kalibr” missiles, but only the anti-ship variety. New Delhi wants to get a modification, used for attacks on terrorists in Syria. These are distinguished by the presence of a new high precision guidance system, but the range in the export version will be greatly reduced – up to 300 km, so as not to violate the provisions of the MTCR international agreements, prohibiting export of missiles with a longer range. However, specialists do not exclude the possibility that India will, in the future, be able to increase the flight range of the “Kalibr”. The emergence of the new armed “Kalibrs” could provide an additional impetus to the Indian defence industry. 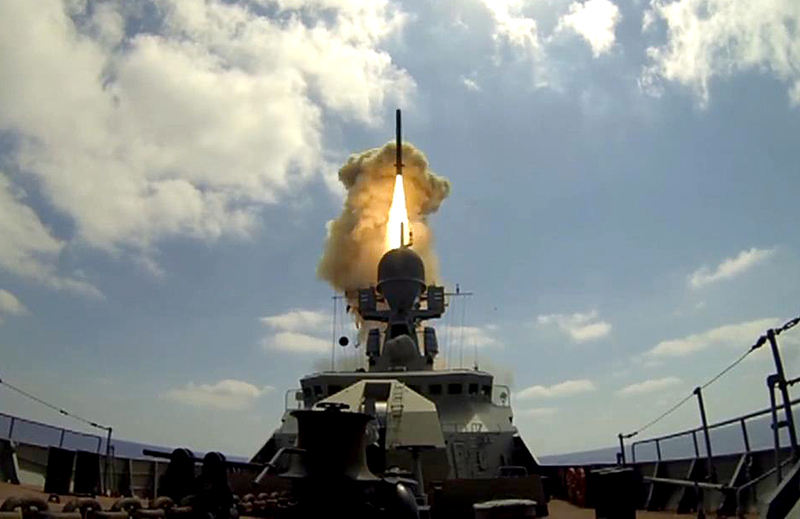 Anton Lavrov, an independent military expert, said in an interview with “Izvestia” that high-precision cruise missiles are only owned by a few countries in the world, so the emergence of new “Kalibrs” is a landmark in the development of the Indian armed forces. He also drew attention to another important aspect of the export of new cruise missiles. First published in Russian by Izvestia.